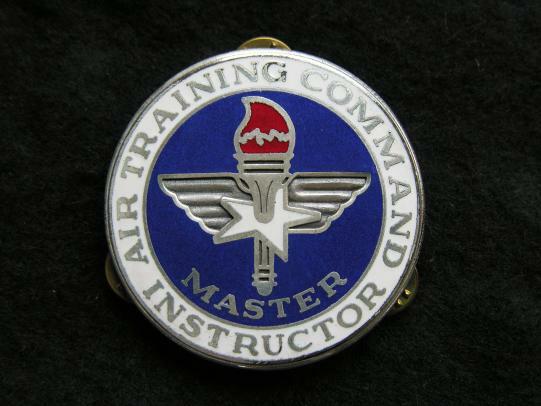 A USAF Master Air Training Command Instructor Breast Badge, clutch back fittings marked on the back V-21. 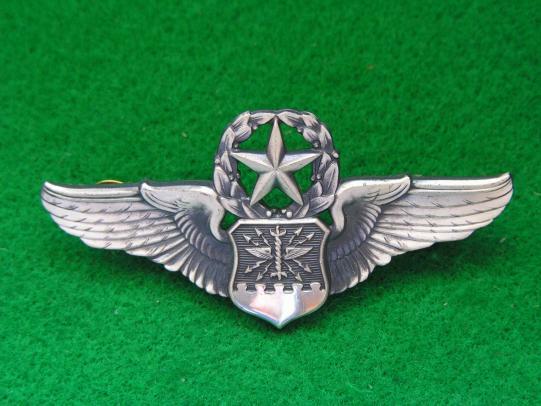 USAF Command Navigator wing, clutch back fittings and marked Krew GI 1/20th silver filled. 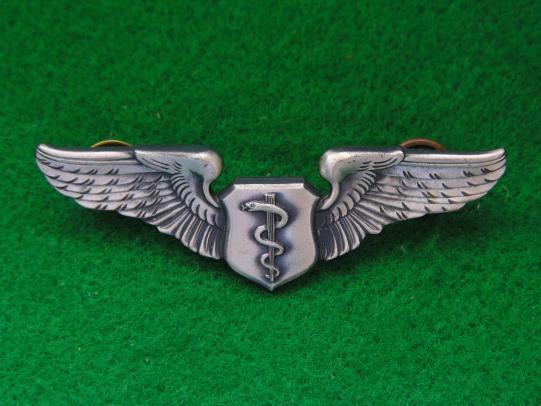 A USAF Flight Surgeon Wing with clutch back fittings. Marked 1/20th silver filled Krew G-I. 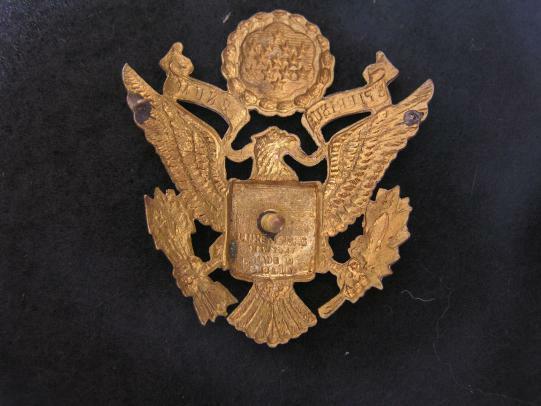 A good well struck officers cap badge marked on the by "Luxenburg New York Made in England". Screw fixing but the nut is missing. WWII U.S.Army 2nd Air Force D.I. 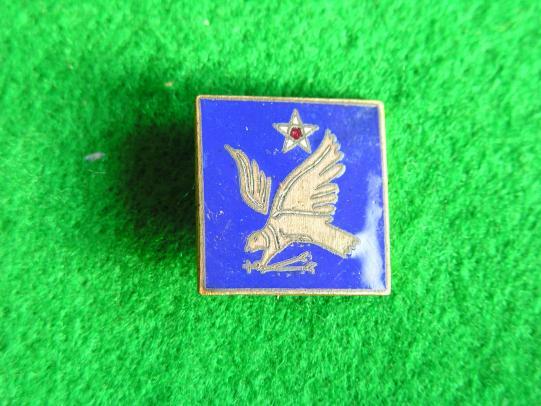 A good enamel 2nd AF insignia, pin back with safety catch. In good condition no chips to the enamel. 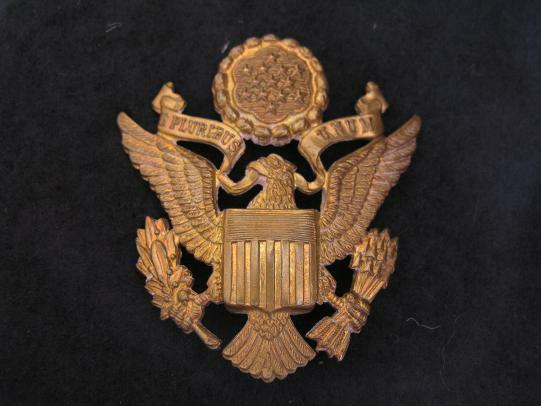 Three U.S.A. 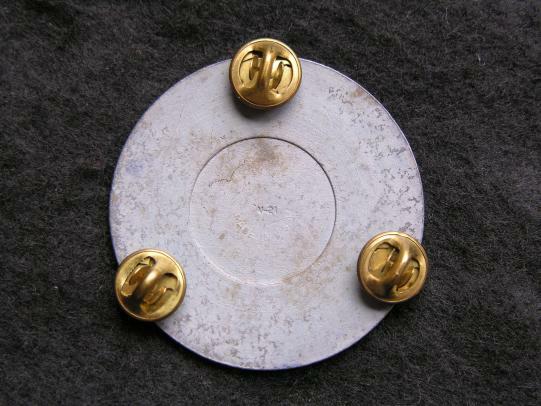 Son In Service and Air Corps pins, miniatures 1/2" in size, two connected by safety chains and have pin back fittings as per images. 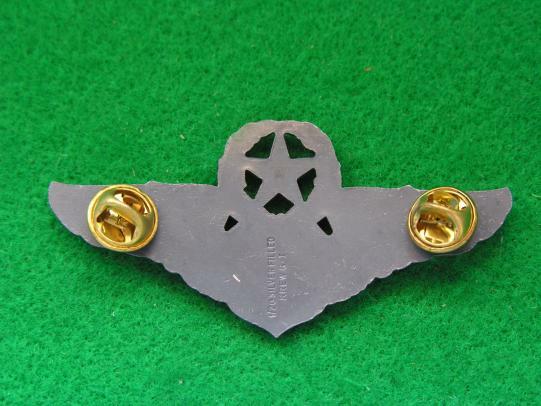 A good pair of Officer's Aviation Branch of Service insignia with clutch back fittings. 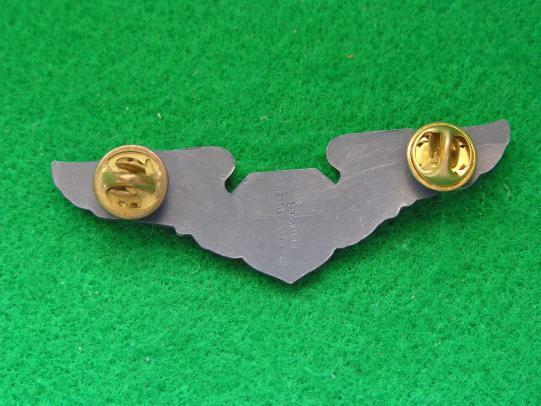 A good pair of Offier's Aviation branch of service insignia, clutch back fittings.